Our grandaughter loves the cornmaze! 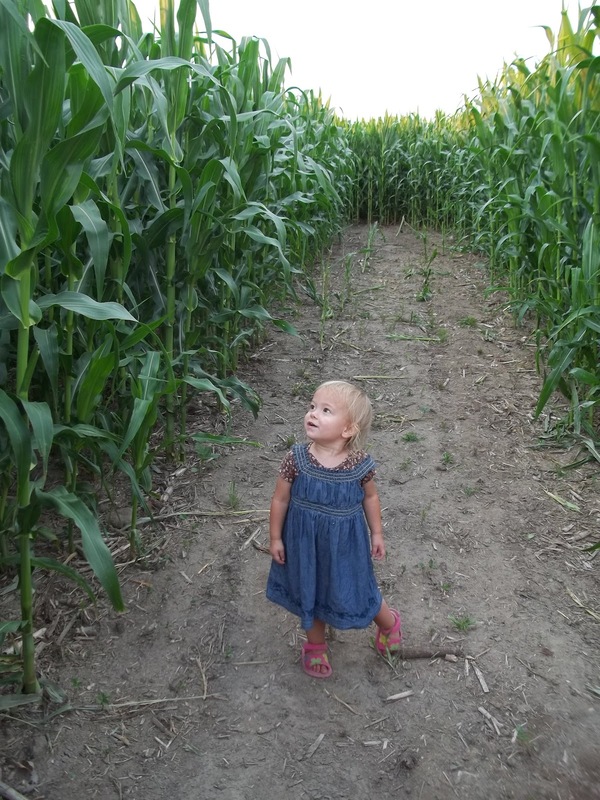 There's lots to do at the Country Corn Maze! The Corn Maze! An eight acre maze that takes up to one hour to do. Maps are available. Mini-Maze - A five to ten minute maze for children with a special game just for them! Octoball - A fun game for groups! Covered Corn Pit! -Your little ones, and maybe you too, will like this! Farm Ball - See just how good you are at throwing a ball! Garbage Ball - You'll have to try this one out! Mini-Bale Mountain - At one of our granddaughter's request! Hayrides! We will be having hayrides off and on throughout the time the maze is open. Rides are FREE and about 10 minutes long. Farmer style obstacle course! Time yourself as you race through the obstacle course made with things found on our farm. Loafing Shed! Also known as the picnic shelter. Available for reservation for groups with advance notice. A Campfire! It is so relaxing sitting by a campfire. We will have a couple going but if you wish to have one for private use with a large group, please let us know in advance. Visit our Concession Stand! There's a few snacks, soft drinks, smores, candy and glow products available. The "Ark"! A place to visit farm animals that everyone loves. The "Granary"! A great place to buy a souvenir, or maybe just something you can't get anywhere else! You will find toys, food, jewelry, and more! The Bale Mountain! Everyone loves to climb to the top of the mountain and see the view! The Tire Dragon! Children will love climbing on and through this bohemouth! Fort Cornstalk! A big fort with games in it! Footgolf! A new way to golf! "The Rustler's Den" Escape Room!